Anagen and Telogen Effluvium – is the premature hair loss resulting in diffuse hair fall throughout the scalp. Diffuse meaning a general consistent loss throughout the scalp. A condition that may grow back in time without treatment. However, Telogen Effluvium may well need some professional assistance. When dealing with any form of hair loss you must remember that the hair grows in a cycle. At any one time you have thousands of hairs waiting to fall in the resting or telogen phase. Therefore, if you were to seek professional assistance today and started treatment then this will only affect you in around 2-3 months time. It is not possible to grow your hair back in a few weeks. You may well have heard people saying that you can but I can assure you you cannot!. So you must remember that leaving it and seeing if the hair grows back before considering obtaining advice or treatment is a gamble. If you are still shedding hair in a months time then you again will need to wait at least 3 months before you can hope for any improvement. Why not give us a call and speak with a trichologist right now on the phone? Its a free service and it might just answer your concerns. Relating to a specific form of diffuse alopecia – eviction of hairs hafts that have prematurely entered the telogen phase. Excessive loss of hair can occur. Telogen Effluvium tends to become apparent 6-12 weeks following the cause. Such a hair loss can result in 1-2cm stubble in extreme cases within weeks. Causes include: Pyrexia (body temperature reaching 103.5 C +), Childbirth (rare), severe infection (especially toxaemia), major surgery, protein deficiency due to unsupervised crash diets, drugs including beta blockers, anti-depressants, severe psychological stress. Telogen Effluvium affects patients either acutely or Chronically. This acute Hair Loss causes rapid hair shedding within a short space of time. This could happen over a period of days or a few weeks. Often patients as a result will reduce the washing regiment in the hope that this will stop the hair falling out. If you don’t wash your hair thoroughly, you will lose more hair! Often the quicker you shed hair the faster you will recover. As mentioned above your hair may well grow back without treatment. However, it may need some help. Causes of such ailments include major shock to the body, dramatic temperature change, infection etc. This is a term to describe a gradual hair loss over a period of time. Perhaps months or even years. This will often not be noticeable in the first instance. Patients should seek professional help to determine a cause. Low Iron is often a contributing factor. We are a team of specialists that have treated thousands of sufferers over the years in practice. Feel free to contact the advice line and speak with a trichologist in person. Remember, the sooner you know exactly what you are dealing with the sooner you can get it dealt with. You have several options. You can ring the Holborn Clinic and speak with a specialist right now! We can answer your questions and tell you the best course of action. All you need to do if ring the number above. Hope to hear from you soon. Thank you. Alternatively, you can arrange to visit the clinic for a consultation. This is always the best option as we get to see the condition in person and we can give you a diagnosis. Treatment is something that may be suggested. Don’t forget treatment is not always necessary. Just fill in the contact form or give us a ring. In order to fully understand the factors surrounding anagen and telogen effluvium it is necessary to know the stages of hair growth in hair cycle. Scalp hair follicles have a four phase cycle. Anagen (growth), Catagen (transition), Telogen (resting) and Exogen (hair-shaft evacuation). This cycle refers to all hair types including afro. During the process of folliculo-regenesis, the follicle + epithelial sheath + new hair shaft is recreated. During the growth (anagen) phase the hair shaft continues to gain length for a period of 2-7 years. Approximately 80-85% of hair follicles are in anagen. Hair growth rates range from 0.5cm – 1.45cm per month. We are discussing the scalp hair here. Other regions of the body will grow for a shorter time period for instance the eyebrows which take around 3-4 months. mitosis ceases, the follicle enters a period of degeneration. Catagen accounts for approximately 3% of hair follicles. 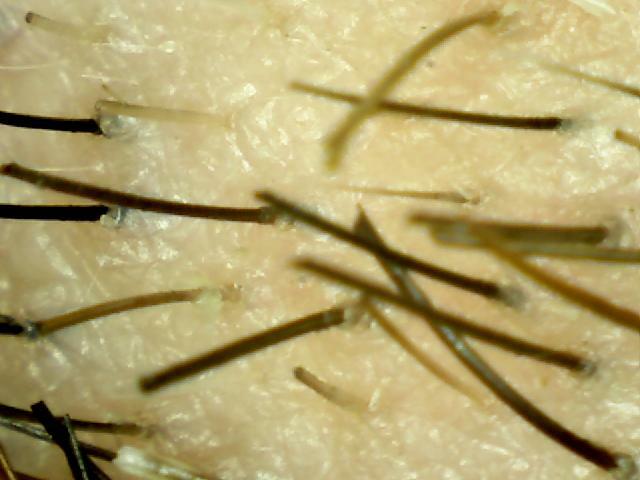 The Epithelial sheath shrinks forming a minute “club root” at the proximal end of the hair shaft. Catagen lasts for approximately 10-20 days. approximately 12-20% of hairshafts are in the amitotic (resting) phase. Eventually (up to 3 months ) the hair shaft vacates the follicle. Remember what I said above? It is a gamble to wait and see what happens to the hair. in which the hair-shaft is evacuated. The hair leaves the follicle allowing the new hair to grow freely. This is an important part to remember. It is the washing that assists the hair to fall. If you don’t wash correctly, this can affect the hair shedding thus affecting the rate of hair loss. Hair loss during the anagen phase of the hair cycle. Remember that the anagen phase is the growth phase. – The onset may be rapid (within 2-4 weeks of the cause). Hair loss may be severe. Causes include:- Chemotherapy drugs (antimitotic agents), Radiotherapy, Malnutrition, Seborrhoeic dermatitis, Oral contraceptives, Vitamin A poisoning, Iron deficiency, Chronic infections and some drugs. Patients suffering from anagen effluvium will almost certainly have other symptoms. This condition affects patients that have health issues. In any case of anagen effluvium you should seek professional advice. Question – if Telogen Effluvium permanent? Answer – this is a temporary hair loss condition that will grow back. There will always be a cause and that is what we will establish at consultation. Question – will I loose all my hair? Answer – this is unlikely. Most patient will establish a cause before the hair gets to that stage. Question – does low iron cause hair loss? Answer – Yes it can do. Many women suffer from low serum Ferritin (biological state of iron storage). You should get some blood tests asap. Question – Is Anagen Effluvium treatable? Answer – Yes. find the cause and deal with it. 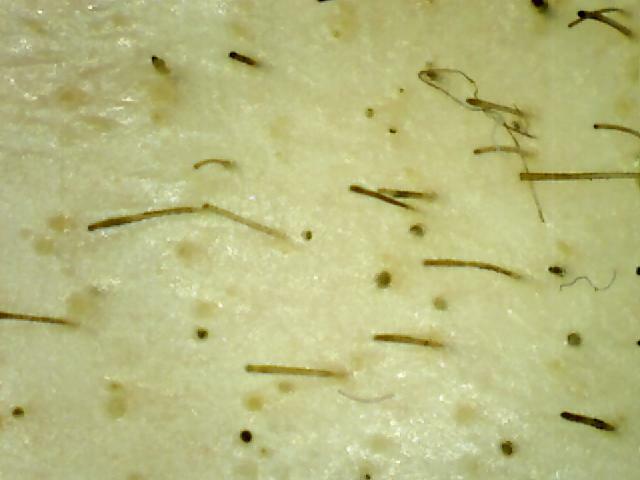 Question – will this cause Scarring Alopecia? Question – Is this considered a hair shaft defect?